I posted my thoughts on Officer Customization earlier; here are the rest of the classes. I rolled my updated Officer ideas in to make it one document, but I'll make it four posts, one for each faction (I didn't include Clones or Droids this time, since I assume they're coming later in a Clone Wars season; I'll post my thoughts and ideas for them later). I decided to post this as an almost-finished work in progress, rather than wait until every last detail is done. Any missing links will be provided later, post good images for a Trooper if you'd like and I'll try to include it. Awesome post OP! I really love your ideas. Let's hope we will get at least some of them in the future. Well done @JackTHorn ! Thumbs up to all of this. 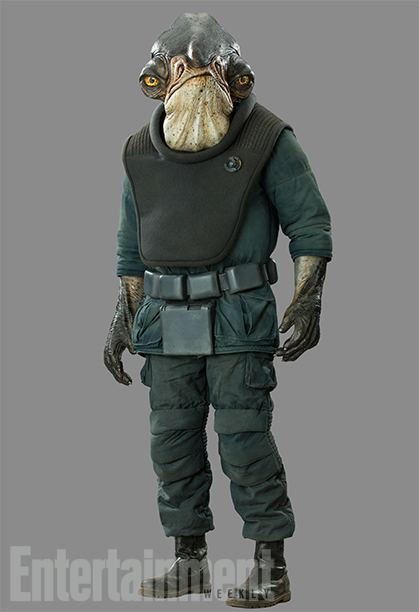 Wouldn't mind seeing a Mon Calamari for the Rebel/Resistance officers. Great post and ideas. I hope some of them get implemented at some point. 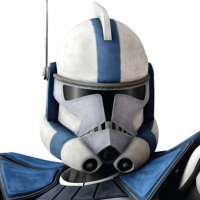 I can understand why the are holding back clone skins (I assume they want to release them with a TCW season/DLC) but I don't understand why they haven't released any options for Empire/FO yet (besides officer). 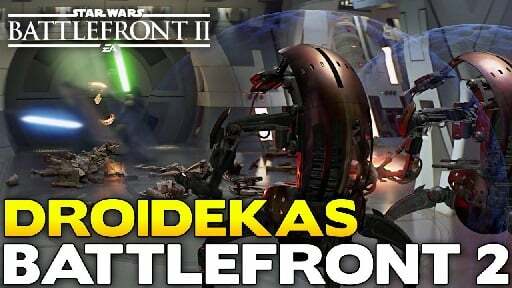 There are so many options they could have ported over at least for the Empire from BF2015. 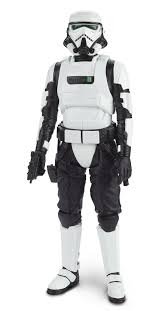 Where are the Navy/Death Star Troopers & pauldron color options & Shocktroopers & Shadow Scouts & or gender options (they even have a female Stormtrooper model plus voice lines in the campaign)? If it takes some time to add new skins okay, I'm fine with that, but at least port over all existing skins/models from the campaign & BF215. Like I said, it's a great Suggestion post by OP and I'm really hoping to see at least some of it in the near future. I hope EA takes note. Well done but who cares? It seems Hero Showdown map rotation is their priority at the moment. Ugh. I thought they withheld them for Solo. It makes sense to update the Empire for the movie (taking into account the trailer or mudtroopers). 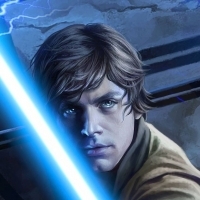 But, I wouldn't have high hopes for their release on Part 2 (since Ben only hinted at hero skins). 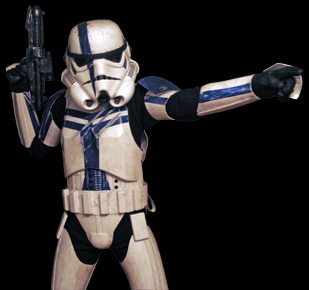 Shore Troopers are environmental variants, like Snow Troopers and Sand Troopers. And like Snow Troopers and Sand Troopers, they should only be found in their special environments. They should be the default for a Scarif map, and maybe the Kashyyyk map if they open the maps up to different eras. But not a skin. 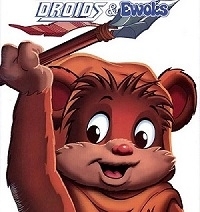 Yet another way these hero-obsessed designers give troopers the short end of the stick, and overfocus on heroes. 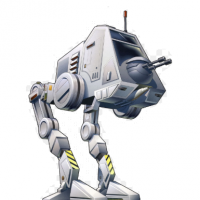 I'm hoping that soon they'll see the many, many opportunities for content and income from Trooper skins, and start adding these. What's key is that they do a bunch at once. If they keep doling out two or four new skins, not only will they make less money because people will just use their in-game credits, but the game will suffer from seeing a deluge of the new skins and everyone will look the same. 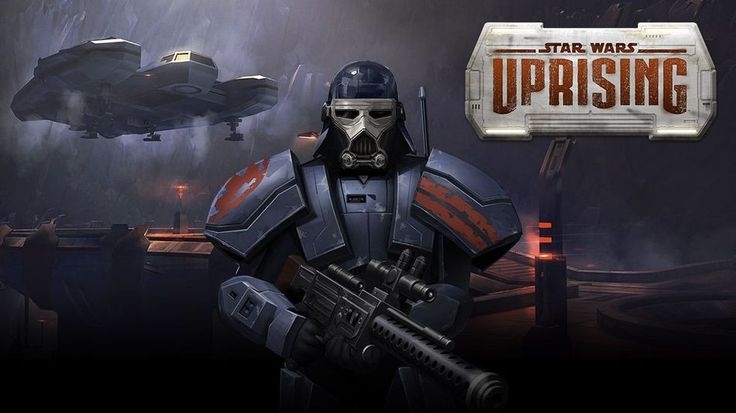 Remember how it was when everyone got high enough level for the Scout Trooper in the 2015 game, and then the Shadow Trooper? 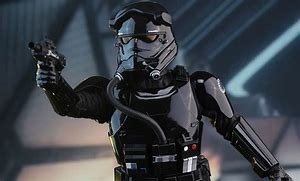 And when they released the Shock Trooper and for months nearly every Imperial in the game was a Shock Trooper? Releasing dozens at a time will boost sales and increase diversity in play. Anyone have ideas for skins for the First Order Enforcer and Aerial? 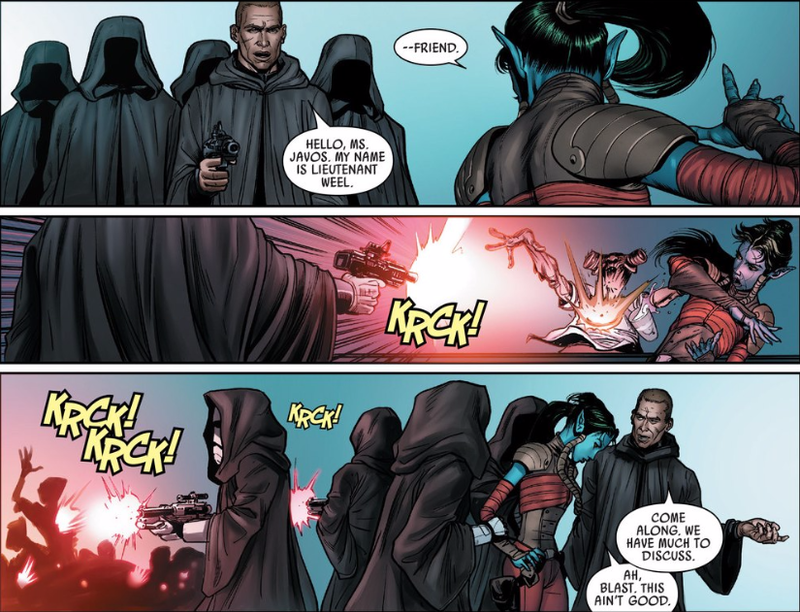 There is a part in the poe damaran comic that has the first order troops in cloaks. 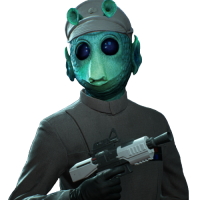 Not sure if its good enough to be a skin for the first order. That's an interesting one! Isn't that before the First Order revealed itself, though, and therefore before they started fighting in real battles? I haven't read any of the Poe damaran comics. I just remember seeing this panel so I couldn't tell you much about it. 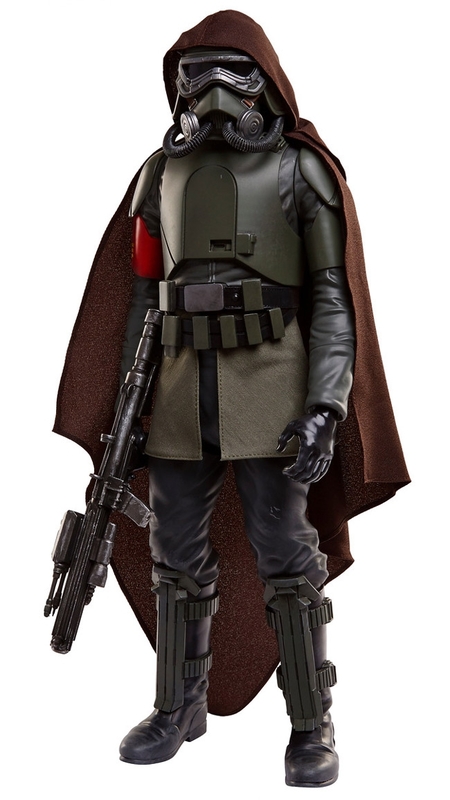 If the Imperial Heavy Class got the Tank Trooper/Hover Tank Pilot skin then i'd be playing a whole lot more Heavy! Also by the way what are the levels for? Would you have to get to that level in order to be able to purchase the skin? Right? Such a cool skin. Yep. 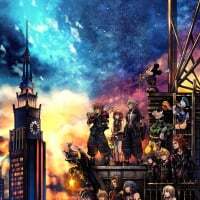 Just like it was in the last game, but hopefully with a bit more rhyme and reason to it. 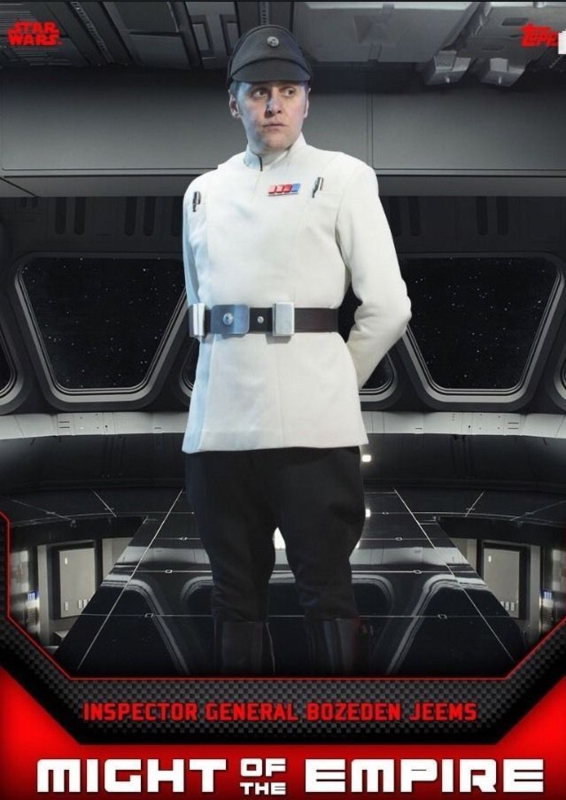 Skins that require higher rank actually indicate higher rank in the canon setting, providing a player with a visual sense of progression. And if not indicative of rank, then at least not counter-indicative, and requiring higher rank in order to prevent the skin from being overused. 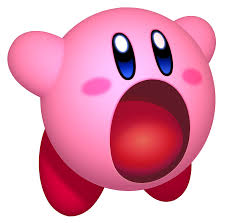 Good lord, I freaking love his design. I want Range and Mud troopers. Mud troopers would be interesting, but are probably not necessary. 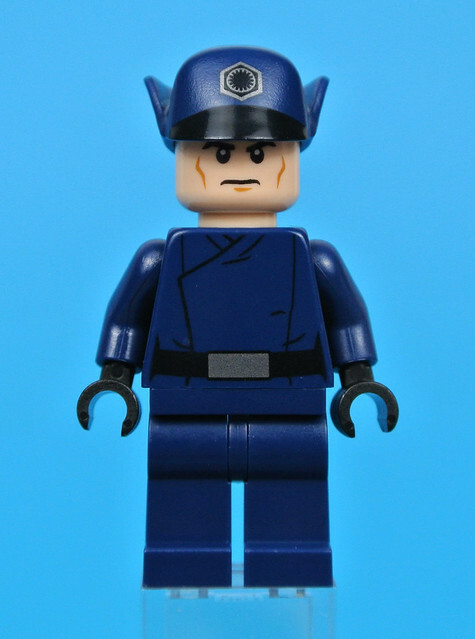 It would be good though, because there is enough diversity in Mudtrooper soldiers and officers to give us one for each class. But Rangetroopers are a must for this game. 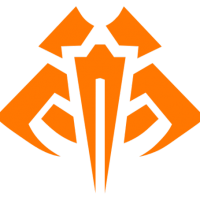 I want them for all classes of the Empire. 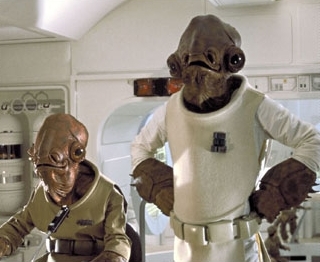 Yeah, I never much liked these guys... they just don't look Imperial to me. The canon Stormtrooper Commander is the unmarked one with the red pauldron, anyway. Dude. DICE should really take a look at this. This is impressive. Thanks! Yeah, I actually just added that Trooper to my list yesterday. I put him in the Assault class, though I was considering Specialist since apparently it's an alternative armor for Special Forces. What made you go for Officer? 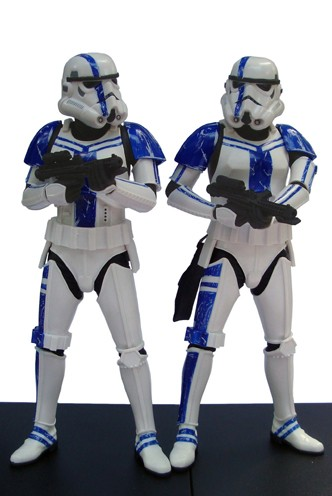 I always thought they were supposed to be the commanders of the 501st due to the similar blue coloring as the clones. 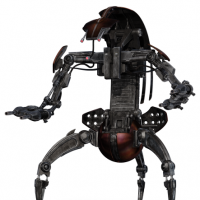 What types of Mud troopers are there? I've only ever seen the one. 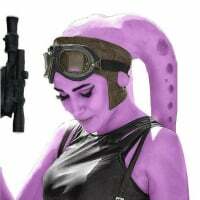 Can you post the best Mud Trooper and Range Trooper images you've seen? Thanks! I'm hoping they at least glance at it. Actually, what I'm hoping is that they have already started work on something along these lines, and I'm just posting for no reason. Yep, I think that was exactly their story. 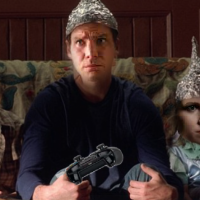 Never made canon, though. Need some Purge Trooper armor for the Heavy class. @JackTHorn the pistol is the main reason. Ah, makes sense. 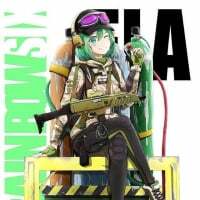 Actually a Special Forces Trooper would probably be better as an Officer than a Specialist, now that I think of it -- for some reason I keep thinking Specialist, but their skill set is really more Officer oriented. Though Assault would also make sense. Having read that entry, though, I have to say the Mud Trooper looks more like an environmental default skin than a individualbuyable skin. 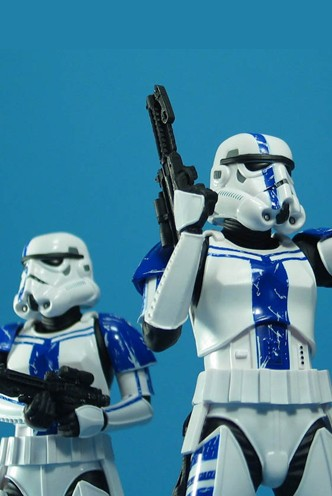 Like the Snow Troopers and Sand Troopers and Shore Troopers, it should probably just be a default on the associated maps. Then there are Officers, and many other classes that are represented in Mud outfits. There could be one for every class. it would be cool. I think the diversity that is shown in just a few Mudtrooper outfits, is enough for every class. Sounds like it would work out perfectly for the default skins on a Mimban map! That is only if we got a Mimban map. 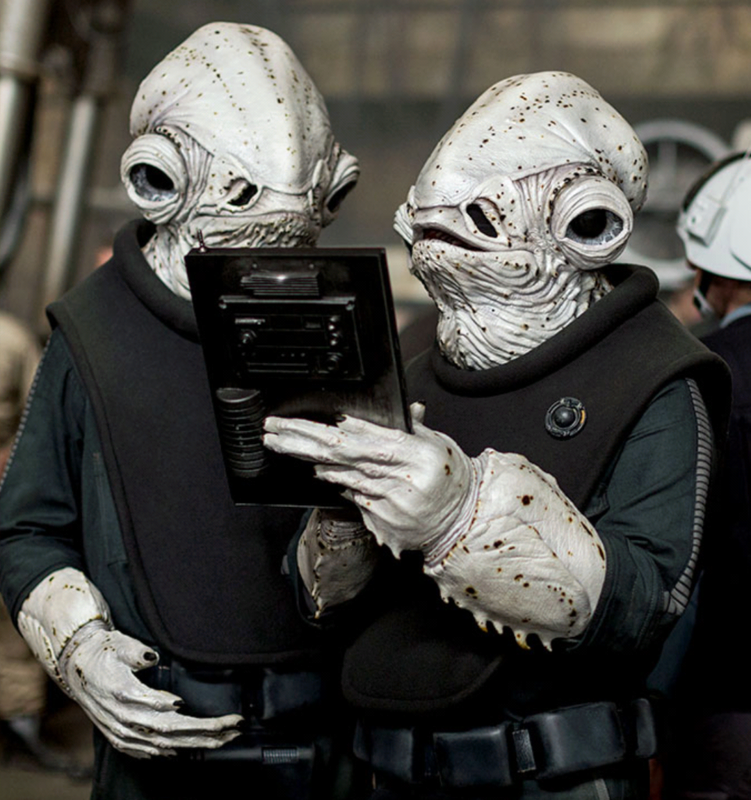 But if they don't give us a Mimban map, I would rather be able to buy them. Plus, that officer looks cooler than the one we have in game.